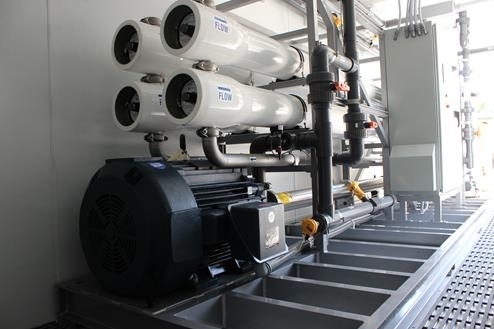 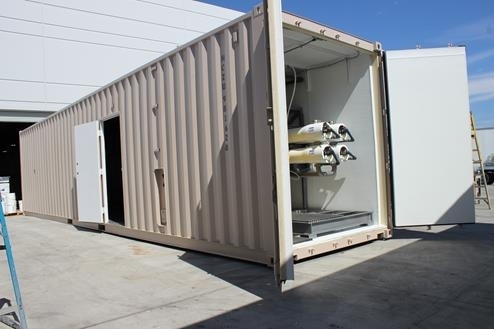 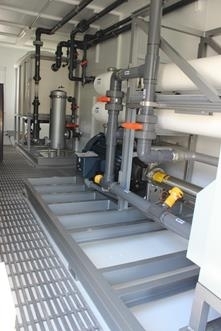 Containerized Seawater Desalination Systems for Potable Water | Applied Membranes Inc.
AMI-custom engineered containerized seawater desalination systems to produce a combined 300,000 gallons per day of potable water from open intake. 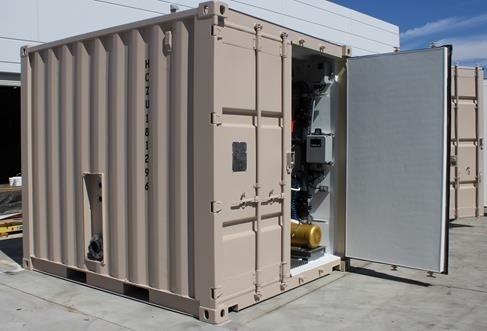 The project consists of (3) 100,000 Gallon per day SWRO systems enclosed in a 40’ ISO container equipped with lighting and air conditioning. 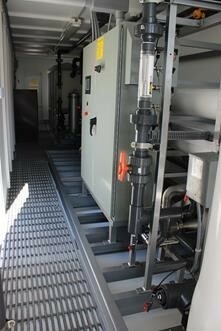 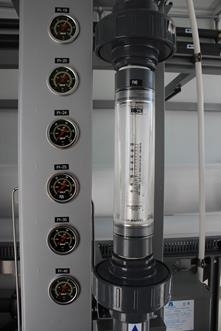 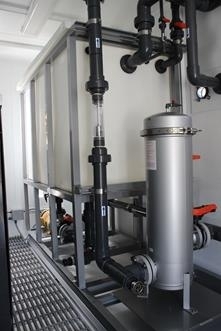 Each system has a separate media filtration pre-treatment skid enclosed in a 10’ ISO container. 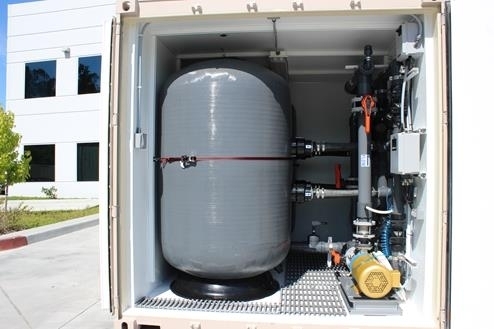 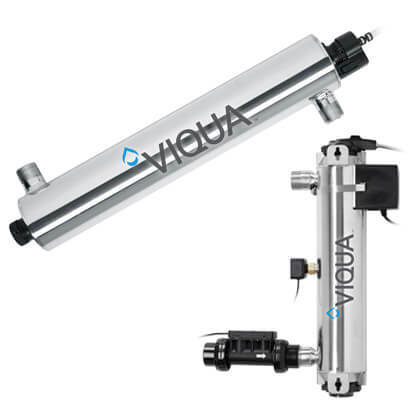 Each trailer is designed with serviceability in mind with accessible membrane housings, chemical tanks, and serviceable components as well as a central piping connection panel, and local instrumentation.